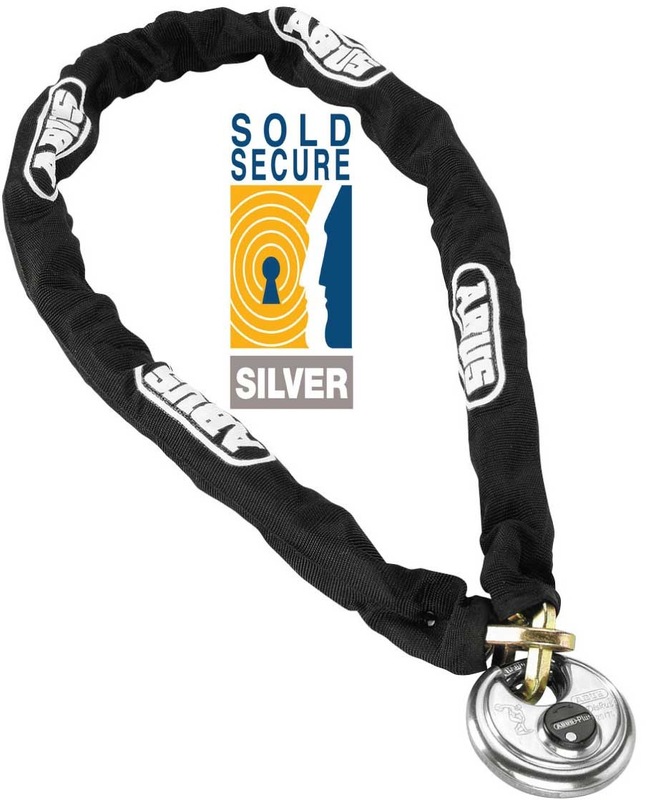 The Diskus Chain is a very reassuring way to secure your bike. The Diskus 20/70 padlock is virtually inaccessible to attack, using a shrouded 10mm shackle within a hardened steel lock body housing the Abus Plus key mechanism. The square section 8mm hardened steel chain links are very awkward to cut apart but do not weigh as much as you might think!